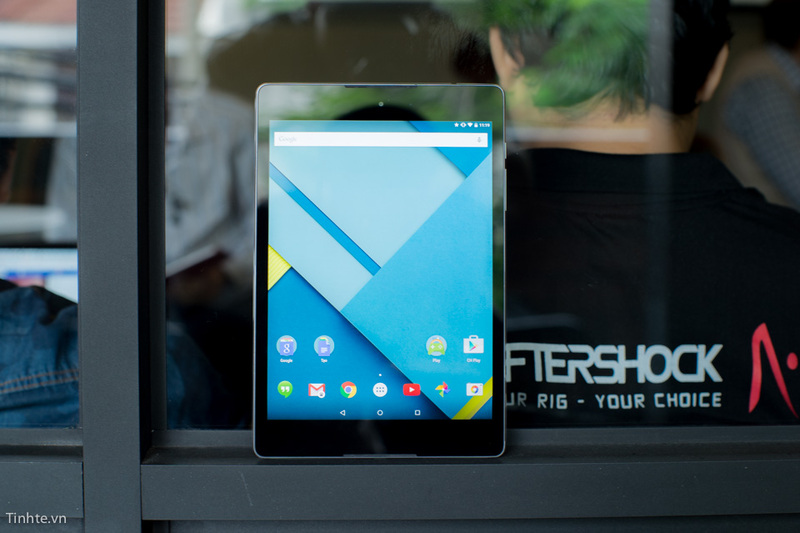 Apple will be announcing a new iPad Air later today, but Google’s Nexus 9 by HTC is most certainly a worthy competitor. Offering an ultra high-resolution 8.9″ QVGA display (2048 x 1536 resolution), a 64-bit NVIDIA Tegra K1 dual-core processor, an NVIDIA Kepler GPU, 8.0-megapixel rear-facing camera, 3.0-megapixel front-facing camera, 2GB of RAM, 16GB or 32GB of internal storage, among many other great features. Continue reading for the hands-on pictures, video and additional information. “And there’s a real focus on productivity here: Google is also releasing a keyboard attachment that “magnetically attaches to the Nexus 9, folds into two different angles and rests securely on your lap like a laptop.” So all at once, Google and HTC are going after both the Microsoft Surface and the huge number of consumers who seek aftermarket keyboards for Apple’s iPad line,” according to The Verge.